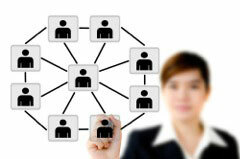 We provide you with ways to reach and build relationships with your key stakeholders. Key stakeholders are the people that matter to your business. This could be your employees, customers, vendors, investors, the community, etc. We understand what it takes to introduce a new brand, navigate traditional and social media, and how to create and implement activities and programs that will get your employees on board with your business goals. Strategy and Planning Planning activities that are in line with your marketing, HR and overall business goals. Message Development Creating your story in a compelling way. Copy Writing Developing materials – hard copy or online – that will tell your story. Examples include website copy, social media communications, presentations, client testimonials and case studies, contributed articles, annual reports, fact sheets, bios, press releases, newsletters. Media Training and Exposure Giving you the knowledge and tools to feel confident telling your story and creating opportunities to be seen by media outlets that will reach your stakeholders. Crisis and Issues Management Preparing your organization for a potential crisis and helping you lessen the impact and duration should a crisis hit. Event Planning Planning and executing of employee, customer or community events. Awards and Speaker Placements Raising the visibility of your organization through awards and speaking engagements that reach your key stakeholders. Group Facilitation Planning and facilitating employee and customer meetings to gather feedback on products/services and motivate them to share your organization’s story. To complement our services, we have built relationships with website and graphic designers who share our same commitment to high quality and professional services.